Deanna Brown is a Senior Attorney at Homan & Stone. Deanna received her B.S. in Economics from University of California, Riverside and her J.D. from California Southern Law School. She was admitted to the State Bar of California in 1993. She is a member of the United States District Court, Central and Southern Districts and the United States Supreme Court. 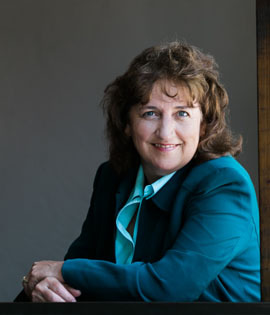 Prior to entering the practice of law in 1993, she worked at the University of California, Riverside with the English as a Second Language Program. She was also employed for several years as a vocational rehabilitation counselor while attending law school. Deanna’s practice has been focused on litigating a broad range of personal injury matters including medical negligence, wrongful death, products liability, and premises liability. She has taken several cases from pre-litigation to favorable judgment and appeal. Deanna’s passion outside the law is her family and community service. She has served several terms for the City of Riverside’s Human Resource Board and has served on various board positions for the Riverside National Charity League. She was recently awarded the Volunteer of the Year for the Riverside Fox Foundation where she is a frequent volunteer. She, additionally, has a passion for music and theatre and is a Judge for the Inland Theatre League.